A group of us were sitting at “the Island” having burgers as we do each Sunday after Opening Day. Except this Sunday was a bit different, as my son MD said, it was “retro staff night.” In other words we had a small, informal resident staff reunion with folks who were on staff in the late 90’s and early 2000’s. What makes this group so special to me is that these people were on staff when I came to SpringHill in 1998. As some of them would say, these are my “peeps”. They are dear friends whom, over the years, we have been in each other’s weddings, experienced births (future campers as we like to call them), suffered through illness together, mourned the loss of friends and celebrated the sovereignty of God which brought us together for a season of ministry. Every time we see each other I’m reminded how blessed I’ve been to serve with, and more importantly, become friends with these great people. The second criteria is simply “Can you love and enjoy the people you will work with?” We spend most of our waking hours working at our jobs and it doesn’t make sense to do it with people you don’t enjoy, respect and love. 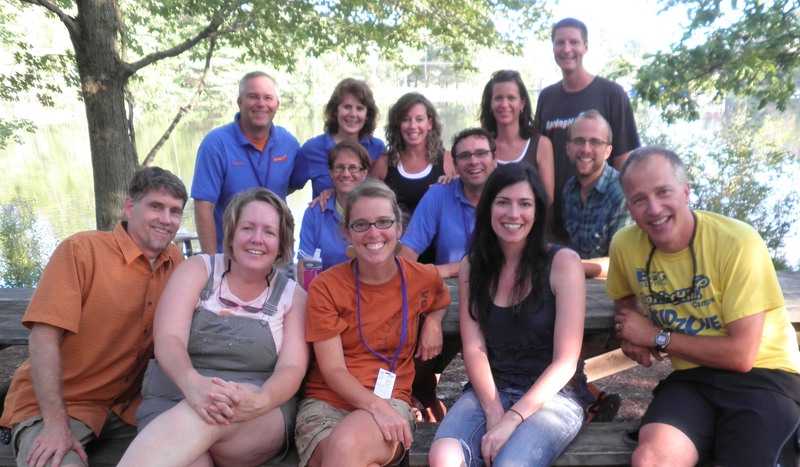 In my 12 years at SpringHill I have been blessed to work with people that I love, starting with this “retro staff”. It has made being a part of a great ministry with a great mission, a true blessing. ← It Doesn’t Get Any Better Than This!